Get one of the hardest, most durable satin polyurethane topcoats available – along with the convenience of easy water cleanup. This is one of the hardest, most durable consumer polyurethane topcoats on the market today. It is non-yellowing and offers easy water cleanup. It contains all the consumer-friendly characteristics of PolyAcrylic Blend. In addition, it contains a UV Stabilizer to protect it from breaking down in sunlight and to protect the underlying stains from fading. With its pure polyurethane durability, it's a great choice for hardwood floors. Oil-based stains must be completely dry before using a water based topcoat. 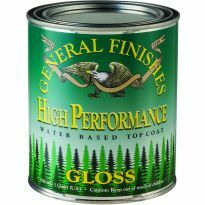 Wait a minimum of 48 hours before applying General Finishes High Performance. Use a foam brush or paint pad applicator. Apply liberally, using smooth, even strokes with the grain. Use enough material to provide a wet film. Sand between coats using 320- or 400-grit sandpaper. Remove dust before recoating. A minimum of 3 coats is recommended. Additional coats may be applied to increase durability and depth. Coverage: 75 sq. ft./pint; 150 sq. ft./quart; 600 sq. ft./gallon. Dry Time: normally 2-4 hours under ideal conditions (70°, 70% humidity). Cooler temperatures and higher humidity will prolong drying time up to 8-10 hours. simply the finest product available for perfect finishes every time....levels out like nothing i've used in the last 50+ years i've been finishing wood....WOW!!!!! Goes on smooth, even, best I’ve worked with For a great finish. GF is the very best product. I use his if I want a more natural look, not too shiny and not too flat. Great over light colors, doesn’t turn yellow. Fantastic product. 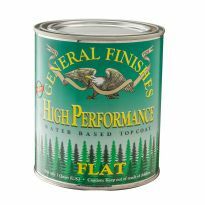 I’ve been using General Finish products for 25 years and they keep getting better and better. Very easy to use and clean up afterwards is a breeze. Highly recommend this product. Easy to use and the finish is just the right amount of shine. High quality, works outstanding with HVLP spray gun! Highly recommned. Works excellent with HVLP application, and can be thinned with water (I use distilled water). Light sanding with 400 between coats. 3-4 coats sprayed gives beautiful results! Used Rockler's HVLP sprayer. Put four to five coats on my cabinets (in the garage) in a single day. Flawless finish. Cleaning the gun took five minutes at the end of the day. Built an entire suite of kitchen cabinets and they look factory built. The completed kitchen. Gray stain on Maple. Easy to use and nice finish! This provides a great finish. II absolutely love this product! 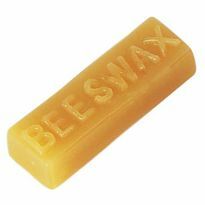 I no longer use wax to seal my chalk-painted furniture - I use this instead! It dries quickly, it's easy to apply, and most importantly does not yellow over time. Use a quality foam brush to apply a thin layer, let dry, and repeat. So easy! I typically use 3 coats for my furniture, but it may take 5 or 6 if it is a piece that is heavily used (a table, for example.) Currently I am painting my kitchen cabinets and using this as the sealer. It's looking fantastic! 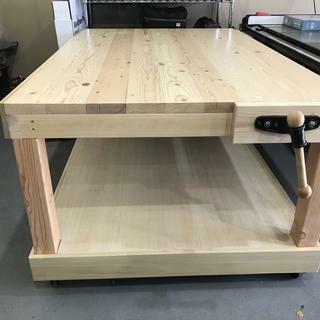 I wish I had asked Mike at my Rockler store long ago for a urethane recommendation. This was sooooo easy to use and clean up was a breeze. The finish is exactly what I wanted. I am more than please with my work table finish. I read about this material in a woodworking magazine so I ordered a quart for re-coating a table top. I started with a foam brush and applied the coating like I would with a petroleum-based polyurethane. The result was terrible. I went to the General Finishes web site and watched a few of videos using this material. Go watch them. They really coat table tops quickly using a foam pad, just slopping the varnish. I tried their method, and I was very successful and somewhat surprised. I then purchased the inexpensive HVLP sprayer that Rockler was selling now. I just did one table top with it and this material. Excellent results. Is it as durable as they claim? Will find out! Great finish! Easy to work with! Great top coat and milk paint. 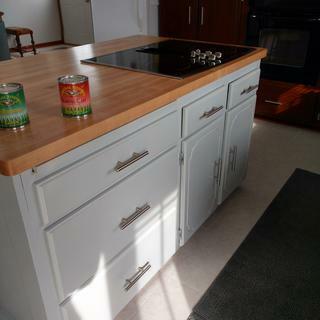 Will use it again, my kitchen island went from dark oak to Seagull Gray, no special prep or sanding! Just clean good then apply, dries real fast, no odor. Very easy to use with excellent results. It is expensive, but well worth the cost. GF High Performance top coat does it again! Easy to work & time saver with its fast revolting time. 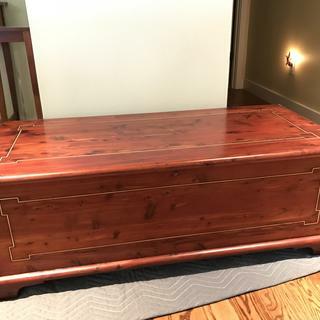 Lightly sanded old cedar chest that looked pretty distressed.. In that it had been stained, on recommendation of Rockler associate, used GF “Georgian Cherry”. And top coated with GF High Performance water based satin. Nice results and better yet, great feeling bringing old piece of furniture back to life. 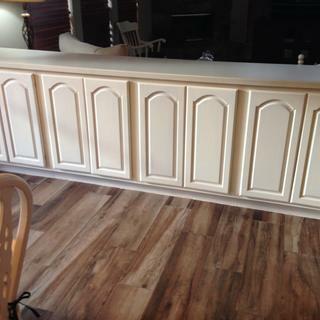 Used General Finishes gel stain and high performance satin. Happy with results. I used this on my kitchen table over two years ago and it still looks great. I love it. It’s the best top coat. It’s easy to apply and dries great. Easy to use with foam brush - Levels itself nicely. I’ve used another brand of water based topcoat for many years; however, I’ll be using General topcoat from now on. General Is easy to wipe on and levels nicely. General was very forgiving to this imperfect woodworker. Product great, your shipping is not. The finish is excellent. However, your packaging for shipping is not. It took 3 tries for you guys to get it right. The first two times the cans were pierced and leaking everywhere. The most unfortunate part is that I have received no compensation for the delay in shipping which in turn cost me money and trust with my customer. Wonderful product; easy to apply and creates a beautiful finish. Very easy to apply and achieve great results. Plan on 3 coats. Stains and top coats are easy to apply, dry quickly and easy clean up. Sprayed beautifully....nice even coats....added some toner. Very satisfied with outcome on a walnut piece. We used this on our cabinets after painting to provide a smooth and strong finish. Goes on easy and evened out any paint strokes. we started with our double vanity in the master bath that was originally honey oak.It worked so well we did the kitchen and it looks amazing. Best finishing product on the market! Works wonders!! Toss your minwax garbage that yellows and changes your natural wood color. Goes on easy and looks great! Easy to work with and my project looks great. Dried well & looks great, just wish it "cured"/ hardened quicker. This is a great product...I've used it many times, with great results. The finish is very durable and water clean up cannot be beat. Very low odor, and dries pretty fast too! Easy to work with. Excellent final finish. Worked well as I sprayed the finish. I have both sprayed and brushed the General Finish water base polyurethane and it has met my expectations. Finish went on as advertised. Really notice on 3rd and 4th coat how well the finish built up. Just have to see how durable it stands up. Shot it with the Rockler spray gun and it went down perfectly. Would definitely recommend!!! Love this product and will definitely use it again. Easy to use, easy to clean up and dries quickly so you can do multiple coats in one day. Great product! Happy with all GF products I've used. Applied 3 thin coats over GF milk paint to a small table with Fuji spray gun using 1.3 tip. Great result. Thinned it about 5% water, but not sure if that was needed or not. Dry time was under an hour. General Finishes products are amazing! Great product, and I highly recommend it. This is the best poly I have ever used. It goes on great with foam brush or wipe on with a soft cloth. It drys fast with absolutely no streaking. I normally put on 3 coats and finish with a paste wax. Great product that is easy to apply and clean up. Water based is safer and in this case great for turned wood. I have been using these products for 6 years now and find that their quality and ease of application far exceeds any other product that I have used! 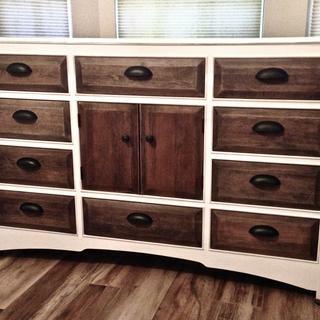 I used this to coat their Coastal Blue milk paint and the hutch came out beautiful!! We so appreciated Rockler for giving us a refund when we found the product frozen from being transported to us in Wyoming. 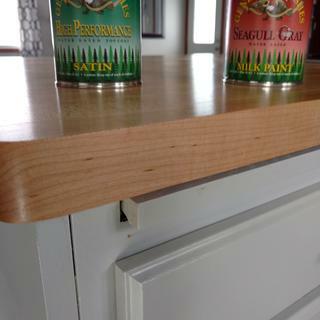 We used the high performance furniture sealer on our unfinished pine bedroom furniture. We loved it. No yellowing! We had to touch it after it dried to believe we had actually put on a coat! I love this paint! It works great on every project! Tried and true. My favorite finish to spray when I need more than shellac. Goes on easily with foam brush or sprayer. Looks very good! Previously bought from this company and I love it. I like this brush-on clear poly coating. Easy to work with, brushes on smoothly and produces a nice clear poly finish. Brushes clean up easily. Overall great product and I'll keep using it. Works great. Easy to use and clean up is a breeze. I have used it before and love it! Better than most other brands. Have used it before and have been pleased with the results. water-based, fast-drying, durability, recommended in the video for what I was looking for. Supposed to be a top quality finish for table top and this is what I needed. Going to give it a try. Recommended to apply on top of chalk style paint. Wanted to try a water based topcoat for a project painted with BM Advance. I have used Arm R Seal for a while now with great results but didn’t want it to amber over time over my linen white colored paint. Reviews. Haven't used this product yet. 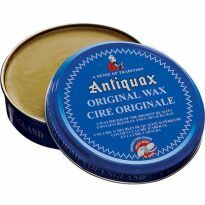 We have used this on every piece of furniture we flip. It is the best product we have ever used!!! Heard that, although this is water based, that this would work well if I let the oil based gel stain dry completely first. Also it would take less time to dry and water cleanup. did a lot of research and this product was highly recommended. Easy no run application allows me to clear coat 6 panel doors after they are hung. 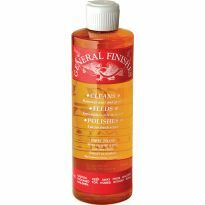 General finishes has quality products that I don't have to wonder or worry about when I use them. Peace of mind is important to me when I refinish client projects. It seemed the most appropriate to go will your Espresso & it's water-based. Best water based I know of. Imperative in order to maintain color of wood. Watched one of your videos about using glaze and they used this after the paint before the glaze. I am just using chalky paint this project but might try glaze if it's too plain so figured it's a good top coat to use. This product was recommended for the stain that I chose. Have had success using this product. It has gotten really good reviews and I wanted to try a water based product. Have been using this product on all my projects. Dries quickly for additional coats. Very hard protective finish that is easily applied and produces a smooth finish. This is the BEST clear top coat on the market! When spraying this with a HVLP sprayer, what is the recommended mixture ratio of water to thin the liquid for spraying? At what air pressure (psi) do you have the sprayer set? Can you spray this with HVLP sprayer? 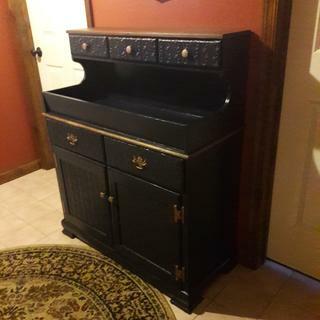 Can I use the Java Gel Stain to pain over an alarde piante dresser,or can I use the waterbase top coat only over the old piano? 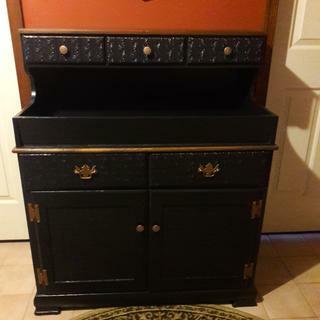 The dresser is an old piece and has some cigarrete burnts. i am planning to use this on hardwood floors that have already been stained with a driftwood gray color. Has anyone used this on floors? If so, what have you found to be the best method of application? BEST ANSWER: Haven't used on a floor but it is as hard as other polyurethanes. I have sprayed and brushed. Very forgiving on flat horizontal surfaces. BEST ANSWER: The reason to sand between each coat applied is to remove any imperfections. 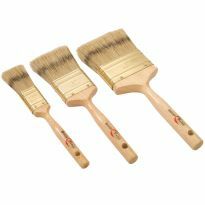 Dust, bristles from the brush your using, and even your brush strokes will leave your topcoat with unwanted blimishs. Just like a quality automotive paint job. You lightly sand between every coat to get the best finish possible. As far as what brush to use. I have abandoned traditional brushes and have had great results with using a "Woster" brand foam brush. They work icreadibly well if applying your top coat isn't done with a HVLP Spray System. Which is really the best finish you can get. HVLP Spray systems have gotten very affordable these days. And Rockler has a wide variaity of them to choose from. Besides sanding between each coat it's a great idea to use a tack cloth to prep the surface before applying your next layer of finish. I like using my sop vacume and then compressed air to get the bulk of the debris prior to using a tack cloth. I always sand in-between coats of any finish unless the instructions specifically advise against it. The purpose of sanding is for proper adhesion and it also gives you the opportunity to smooth out any dust and dirt nibs that will show in your finished product if you just keep layering over them. I just use some steel wool and lightly sand by hand then go over it with a tack cloth before putting another coat on. I recently used a foam brush for this coating on a kitchen table I built with very good results. Hello, has the High Performance water based top coat replaced the Polyacrylic water based top coat? BEST ANSWER: Not sure if it has eplaced it but I had been using this for sometime and have been pleased with the results! I have sprayed it as well as brushed it . I thin it to spray and will thin final coat when brushing because it lays out nice for final coat. The folks at Rockler says it has a harder surface than polyurethane. Hope this helps. In my opinion yes. Grandchildren play regularly on coffee table I built and finished with water based top coats. 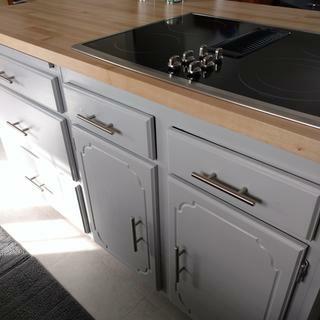 The first layer of general finishes high performance water based satin top coat on my antique white milk paint cabinets made them have a darker yellowing coloring effect on them. Not sure what i did wrong? BEST ANSWER: It is very likely that when you applied the top coat it pulled through some stain from the original surface. 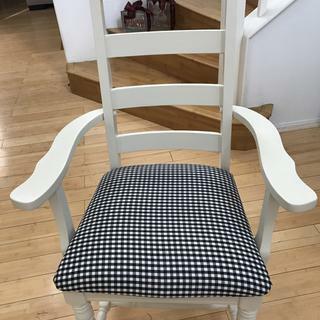 You can paint over again and you should find it is OK. You can prevent this in future by sealing any previously stained or painted wood with shellac or a good sealer (e.g. Zinsser). Wow. Cannot think why it yellowed. I have been using this product for several projects including Maple kitchen cabinets I built. Zero yellowing, which was exactly why I chose water based instead of oil based. Antique white does have a somewhat yellow cast to it. Perhaps the topcoat just seems to enhance it. It may not be exactly what you expected, but, most likely anyone else will think it looks great. The product is very tough, which is why I sprayed four to five coats on my cabinets which have a light gray, oil based stain on them. Thank you for your input, It definitely makes them look more antique looking in the coloring. Could just be bringing out the yellow in the color. I'm also using it as a top coat to the persian blue milk paint and don't notice it effecting it's color. Hi Lisa. I hear ya! I use a lot of GF High Performance Satin and it does deepen the color of the wood. I use it a lot on 1800s barn boards and barn beams but not only if they are of the wood colot tones, not white or greyed from exposure. I find with the white tones the color changes drastically and loses the white completely. 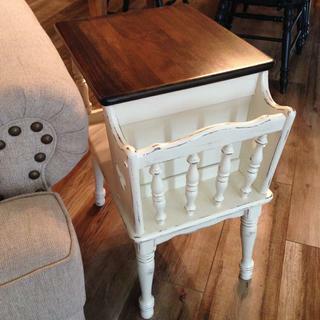 Same goes if I put a whitewash on the wood to give it that milk paint effect. For me it is a great product when I have a wood tone (browns) and for those it deepens and enhances the look. 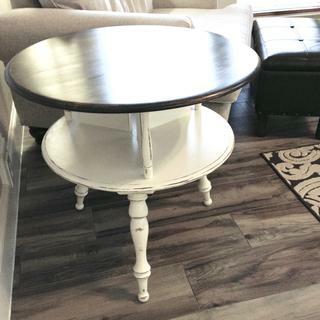 Thank you for that information, what would you recommend for a top coat that wouldn't deepen the antique white color? 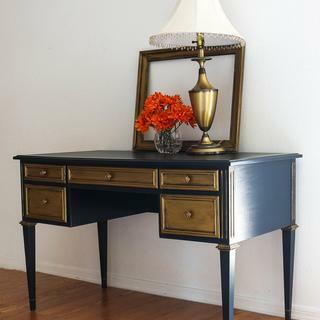 I am loving their milk paint too it's fabulous!! Can this be applied over the gel stains for a good table top with high usage? 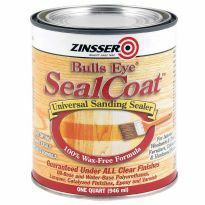 BEST ANSWER: To be safe do a seal coat with shellac then apply the general finish. I have applied the water base general finish satin directly over a gel stain and it worked fine the water base finish I like even more than the mineral spirit base finish! It brushes and sprays great & easy cleanup. 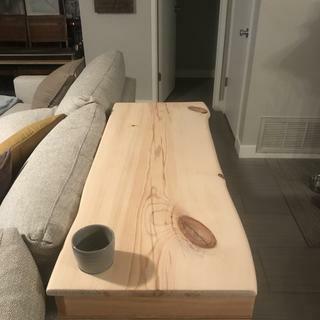 Do I sand after the last coat of GF High Performance Water Based Top Coat (flat if it matters)? I have noticed how well lightly sanding with 0000 Steel Wool has helped between coats so I'd like my last coat to leave the table top just as smooth but don't know what to do after my last application. Thanks. BEST ANSWER: After your last coat you are done. I use a shellac based sanding sealer and then three coats of the High Performance finish. Sanding between each coat. You mentioned you use steel wool between coats. I would not recommend that with a water base finish. Steel and water create rust and can cause discoloration of lighter woods as a result of leftover steel wool fibers. I recommend 400 sand paper between coats. You will smooth out the finish but it is not so smooth that the next coat will not adhere. After your last coat is dry lightly rub you hand across the piece if it is smooth to the touch do not sand it. If not is another sanding with 0000 steel wool. How are you applying the satin with a brush or spray? You should spray. I finish by using 000 steel wool with Johnsons paste wax and buff. You're welcome. It's really great stuff. 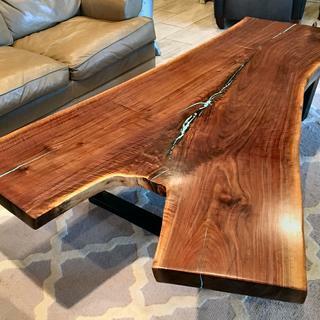 How many coats should I apply to a dining table in order to not have water marks from a cup? BEST ANSWER: I use three coats. Lightly sanding with steel wool in between each coat. After the last coat I use steel wool and Johnsons paste wax and then buff out. I really looks great. Highly recommend the product. I'd say 4 coats . With sanding in between coats with a 400 grit sand paper . Give required dry time between coats. Keeping in mind finishing is all relevant to the individual. There are several factors that come into play here. Are you brushing or spraying? I have done both but when spraying I thinned it with water to spray so therefore I had to use 6 coats. I only put 4 coats on vertical & 2 additional for the flat surfaces. Keep in mind to sand between the first coat with 220 & 400 on 2nd coat. I didn't sand thereafter but again you may choose to. When brushing I didn't thin but it would be fine to thin the first coat if you want. I then sanded with 220 & recoated without thinning. Again I recoated without thinning. This finish dries really quick so it is easy to recoated if you are not sanding between coats. Be sure to strike in continuos one direction to even out and blend your brush strokes. The key is again not to go too heavy and brush out evenly as it dries so quickly you can always recoated. I usually wait an hour or two between coats when not sanding and overnight when sanding. For the top of the table i would think 4-5 coats would be sufficient when brushing. If you have further questions you can rech me at 53-604-8397. I have had success with 5 light coats of finish applied after 2 coats of stain. Dry time says 2-4 hrs but under technical details it says dry time 24-36 .. ? And a little lower .. dry time 24hrs. I'm confused. BEST ANSWER: In my experience, this product dries to the touch in less than an hour. I live in Arizona, which is a dry climate, so maybe 2-4 would be more accurate in other parts of the country. And I imagine it has the 24 hr disclaimer because it may take that kind to fully cure. FYI- This is my absolute favorite top coat- I think it works beautifully. I have found all 3 answers to be accurate. First time I used it, my top coat was dry to touch in about 4 hours. With the current humidity here in the south my top coats are taking up to 24 hours to be dry to touch (even in a temperature controlled area). 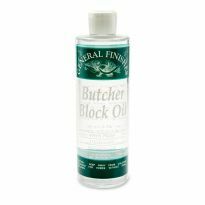 Please note: I am using this over an oil based gel stain so I understand that drying time might be a little longer than if you were using this over a water based product. I really like the easy and smooth application of this product so the extra drying time is worth it for me. If a quart will cover about 150 sq/ft is that one coat? I have a project that's about 100 sq/ft so I'm curious about how much I'm going to need. BEST ANSWER: This product goes a long way! The consistency is more runny than the gel stain so you don't have to put as much on to fully cover. For a project that is 100 sq ft, I feel one quart should cover you! Yes, that is one coat. you will likely need to buy 2 quarts. display white scratches on the product due to it being waterborne? BEST ANSWER: No, I've had it on a coffee and end tables for a couple years, with heavy use, and never seen such scratches. I've never had that problem and use gallons each month. 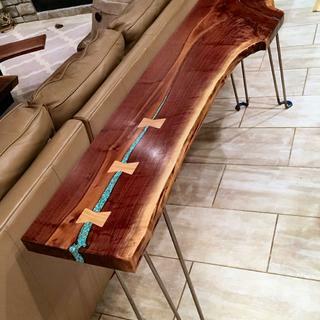 I'm new to woodworking and am trying to get info about finishes. Can this be applied by itself directly to wood? BEST ANSWER: Yes it can. I do it just like that to bare unstained wood to give natural color. I used this directly on Oak flooring, Oak plywood, & Oak hardwood molding. It has worked excellently in all these applications without applying anything else first. Absolutely. Sand to 220 and it'll work just fine. If I were to use this on a dining room table, what kind of cleaner can be used on it daily? Just avoid harsh cleansers, A mild, all-purpose cleanser works fine and will not strip it off. Best to use just a damp cloth, in my opinion. And dry it off when clean. Covering wenge hardwood with deep grain, how many coats can i apply??? BEST ANSWER: When I did my project it was on a semi smooth finish but did 3 coats since it was a dinning table. I would say a minimum of 2 coats, 3 if you will be using that item often. You could use a grain filler first. Otherwise, probably 6 coats max as too many coats will result in a cloudy and less transparent finish. Can I wipe on Arm r seal finish? I’ve used this before but only with a foam brush. Yes, you can wipe on Arm R Seal. I have found it best to use a foam brush for the first coat and then wipe on the next two coats. This helps ensure less stain or gel stain comes back off the first coat. In my personal experience the oil-based Arm R Seal can be wiped on. I've done this many times. The water-based, which I have also used seems better applied with a brush. I PAINTED A DRESSER WITH CHALK PAINT. WILL THIS HIGH PERFORMANCE TOP COAT (SATIN) EAT THE PAINT OFF THE DRESSER? 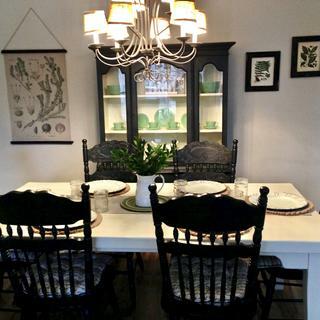 BEST ANSWER: I used the high performance top coat over chalk paint and had no issues. 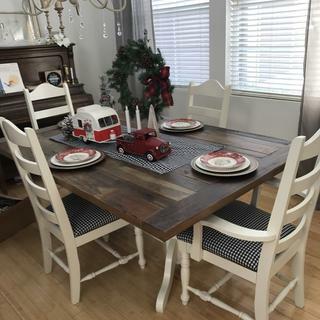 I used a barn red chalk paint on the oak legs of a farm house table and it worked great. DID YOUUSE A BRUSH? IT SAID ON THE CAN TO USE A SPONGE BRUSH! They say to use a foam brush so that you avoid brush marks in the thick poly. It was awhile ago but I likely did as they recommended. The foam brushes are easy to use and you just throw them away between coats. SORRY! DID YOU USE A PAINT BRUSH? I probably used a foam brush. I painted it over acryli, oils and no effect for ten years .Still clear as a bell. What finish can be used on infant wooden blocks? BEST ANSWER: General Finishes makes several products that would be safe for children's' toys. the High Performance water based poly is one of the most user friendly topcoat that I can recommend. It is low odor, dries quickly, covers latex, oil, and acrylic paint with great results. Actually most topcoats are safe once they are dry, but GF's High Performance is my favorite. Maybe something like general finishes salad bowl finish since is food safe. Can I paint over general finish high performance top coat if milk paint got scratched and original cabinet color shows? should not be a problem. I would lightly sand the scratch first to get the milk paint to adhere. I would like to coat a particle board over the toilet, put together at home, shelving system. The finish is a laminate. Will General Finishes High Performance water based Satin help the shelving unit last longer in a bathroom with no ventilation. Will it work on the laminate surfaces or only on the back raw edges? BEST ANSWER: Coating the raw edges will help to keep moisture out but you do not need to do the laminate side , it is not real wood so moisture will not affect it. Yes but I would spray a couple coats of shellac first ( drys fast ). Use on both surfaces. Hi Mike. Thanks for responding to my question. 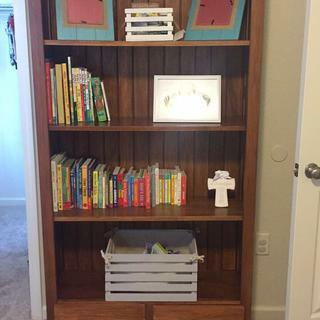 I am new to working on & with furniture... 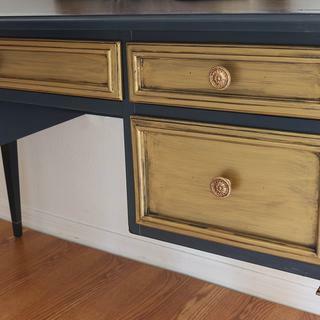 I Chalk painted the frame of this dresser/buffet I have. 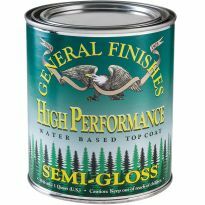 General Finishes makes a Gel stain. The color I used is Java. It looked pretty good, until I used the 2nd coat Satin Top Coat... I used sandpaper. ( not wet ) to lightly sand. I saw nothing about doing anything wet... now I am wondering if I can go back & apply more of the Java Gel stain on top of the Topcoat.. if so, do I need to prepare the Topcoat somehow? TIA. I always sand lightly between layers of polyeurthine with 220 sand paper or steel wool 00 then make sure i gt all dust off.You might as well try two more coats of top coat and see if that works before you sand all the down to bear wood. I rolled the product on my hand rails after staining them. When I sanded a little bit after the first layer, there were little white dots that appeared. Any ideas why? I don't want to sand all the railings if they are all going to do that. Should I just do layer 2 and 3 without sanding in between? BEST ANSWER: I have had this happen as well especially when applied over dark stain. I wiped everything down with a damp cloth, after sanding, and then put a second coat on. I would not sand the final coat. Sounds like dust. Did you use a tac cloth after sanding? 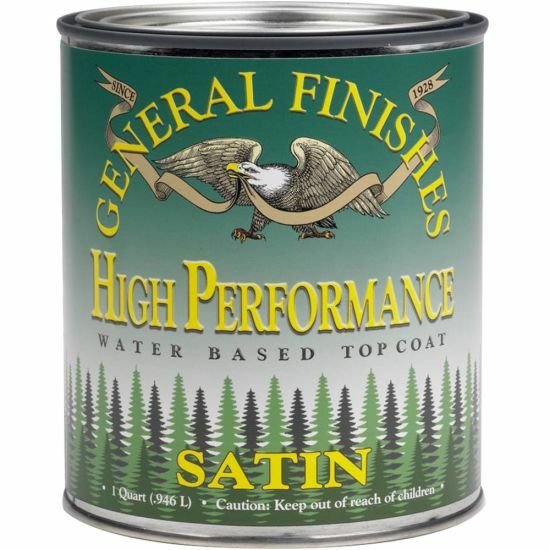 Would the EF high performance poly top coat be a better choice for my hardwood floors stained with GF gel stain candlelight then the Arm R Seal topcoat both in satin? BEST ANSWER: Can't answer that question. 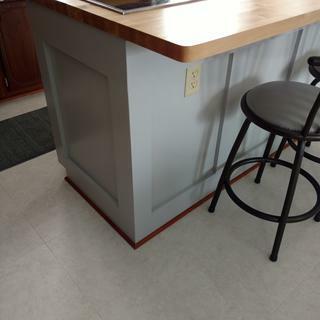 I've used it on kitchen cabinets and it's very durable, but, before I used it on a floor, I would buy a half sheet of 1/4" plywood at a big box store, sand and stain it, and apply three or four coats. You can easily apply four coats on a day since it dries so fast. After you let the final coat dry for a couple of days, lay it in the traffic pattern and walk on it for a few days. For that matter, you could test the other product the same way. 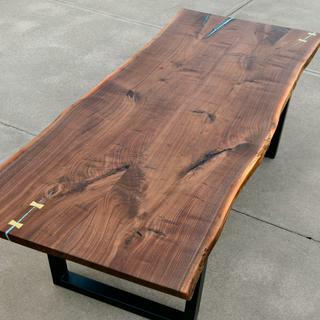 Actually, there's really no reason to stain the plywood. After walking on them for a few days, you should be able to see if the finishes are scratched or abraded. It would be a real shame to do a whole house only to find out the finish will not wear well afterwards. General Finishes produces products specifically for floors. I would suggest going to their website. How long does this need to dry before putting cabinet doors on? I recommend 12 hours to be sure. 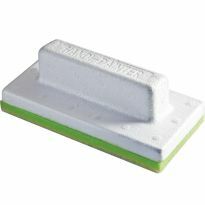 is this the best product to use on a milk painted surface on bathroom sink counter? BEST ANSWER: I did this on a windsor chair with poor results. Red then black milk paint topped with satin polyacrylic. Very hazy and dare I say, milky appearance. I actually plan to strip it and try again. Will either leave it with just the milk paint or use shellac. Hope this helps. Is this product durable enough to use on stair treads? BEST ANSWER: Yes but it will take at least 4 coats. I am applying this to a maple counter top. On the 3rd coat, I sanded a spot that accidentally pooled up on me. Problem is, I sanded against the grain/against the brush strokes and it's still visible on my 5th coat. Will the bad spot sanding disappear by the 7th and final coat? BEST ANSWER: Probably depends on how deep you sanded your "pool". If you just sanded a small spot where the dried pool was, you've probably created an actual depression in the finish which will always show, especially to your eye, now that you know it's there. If your countertop is unattached and can be taken to the garage, for instance, I would recommend sanding the whole thing out with a good random orbital sander to even it out, then a few strokes with a nice flat sanding pad with the grain, then invest in Rockler's HVLP sprayer. I've been using that to spray my Maple ply kitchen cabinets I've built and it works wonderfully. I can get at least three to four coats on in one day of this finish. I give it about an hour and hit it lightly with 320 grit paper, dust with microfiber cloths, and spray the next coat. Five coats gives a beautiful finish and there are zero brush marks. I open the valve up about 1 3/4 turns from closed. Cleaning is simple, a bit of dish detergent and water in the second sprayer container, open the valve about five or six full turns, and spray onto the grass next to the driveway. Rise the container with fresh water, refill, spray the plain water onto the grass for a couple of minutes and that's it. As a matter of fact, I'm spraying the second half of the doors and drawer fronts today. The big question would be what sandpaper did you use? I would use 400 or finer, for example I have some 1000 grit sand paper. The 1000 grit paper takes a lot longer to get rid of the blemish, but the scratches are so small that in certain cases it makes it look like a flat finish, it only loses the shine. Painted some nightstands then added 2 coats of Java Gel stain. I was told to wait a week before applying the top coat. So once the 3 layers of top coat are on how long do you have to wait for dry/cute time to be able to put lamps on them? i would give it a good 48 hrs and you should be fine. There should be no tackiness to the finish! 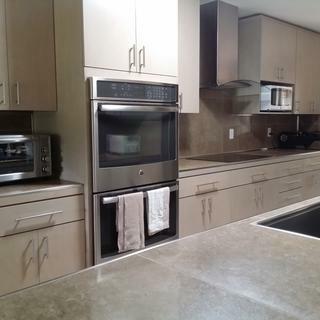 Painted kitchen cabinets with Pratt lambert latex paint what top coat should use to finishes?